Team DDB Warsaw, OS3 multimedia, Universal McCann, Value Media and PKO Polish Bank took home the Grand Effie for their case "The perfect employee". 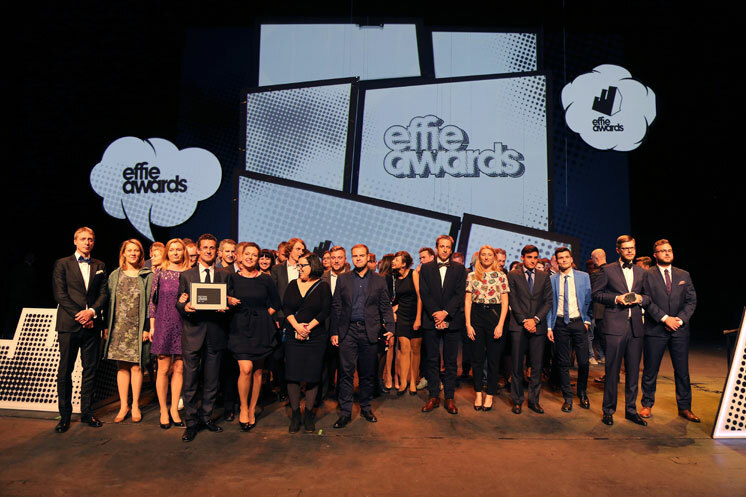 Gold Effie Awards were presented to: Ogilvy & Mather, MEC and Orange Poland for their case "No limitations and boundaries" (NJU Mobile); Saatchi & Saatchi Poland, Closbrother, PHD Media Direction and Toyota Motor Poland for "Sell out 2013 with W. Zientarski"; MediaCom Warsaw, Grandes Kochonos, CPC, K2 and PLAY for "So who else is PLAY-ing with us? ; VML Poland, Starcom MediaVest Group and PZU for "The extra helpful PZU agents"; MEC, Ogilvy & Mather, Duda Poland and Jeronimo Martins Poland for "We are all national football team"; DDB Warsaw, OS3 multimedia, Universal McCann, Value Media and PKO Polish Bank for "The perfect employee". The title of Most Effective Advertising Agency went to DDB Warsaw, and the title of Most Effective Media House went to Starcom MediaVest Group. “The level of cases entered to the competition this year was very high,” said Pawel Tyszkiewicz, General Manager of SAR Marketing Communication Association, the organizing Association of Effie Poland. ​The evening included a speech by Poland’s Minister of Economy Janusz Piechocinski, who spoke about the economic importance of Polish products, Polish exports, brand management, and the expansion of Polish companies around the world. The cases were judged by a 75-person jury of senior executives from advertisers, business, agencies, media and market research and independent consultants, chaired by Katarzyna Milanovic, General Director NIVEA for Poland and the Baltic. For more information on Effie Poland’s 15th anniversary gala, visit their website.